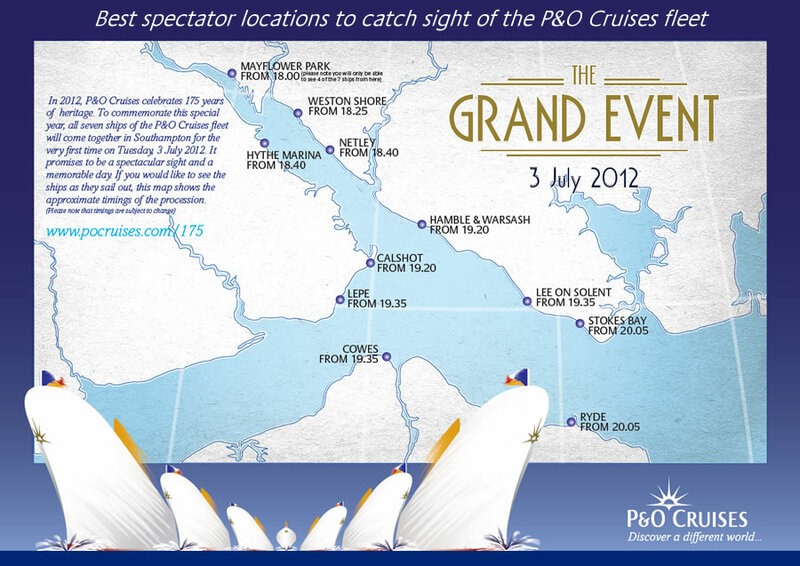 Below is a sketch map from P&O indicating the best times to be at each of the indicated spots to see the 7-ship sail away on 3 July. I’m sure that many people will already have seen this, but to be honest I hadn’t, so I thought I’d share. I’m not sure what this says about the time it will take for the fleet to process past any given spot – I would have thought it would be quite a while, to be honest. Safety demands quite a lot of separation between ships.